The well-respected Middle Eastern motoring magazine, Automobile, has recently awarded its prizes for the best cars of 2018. The all-new Jeep Compact won the Best Compact SUV after rigorous testing by a judging panel made up of expert motoring journalists. Within this category the judges considered design, off road capability (which the Jeep won), the on-road driving dynamics, safety features, and user friendliness. All models in the segment were put through the same rigorous tests on and off road, and the Jeep Compass came out on top overall. During 2017/18 it took the top prize no fewer than 26 times from multiple shows and competitions. At the Autocar Car of the Year award ceremony it won Car of the Year, Premium SUV of the Year, and Viewers’ Choice Of The Year. There are not many manufacturers that can boast three awards from one ceremony, let alone all for the same vehicle. A continued stream of awards and praise make the chance of it being a huge hit with the massive community of Jeep fans even higher. The version available in the Middle East has a 2.4-lotre engine, MultiAir2 technology, a nine-speed automatic gearbox, and 4x4 configuration. 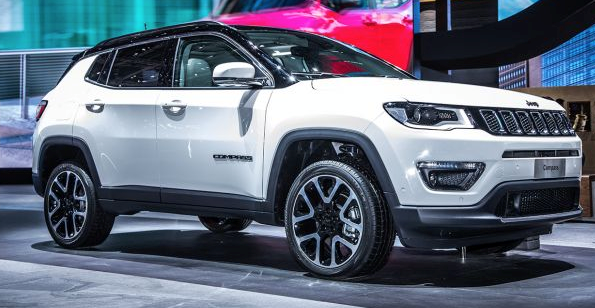 Some journalists have likened the Jeep Compass to a smaller version of the Jeep Grand Cherokee. Whether you think it’s like its big brother or not, it certainly has a combination of winning traits that look like they are going to make the Compass one of Jeep’s best ever sellers.